MY OLDEST FRIEND, BRUCE, and I gape into the labyrinthine limestone abyss carved by Wyoming’s isolated Middle Fork of the Powder River as it murmurs through rock gardens nearly 1,000 vertical feet below. 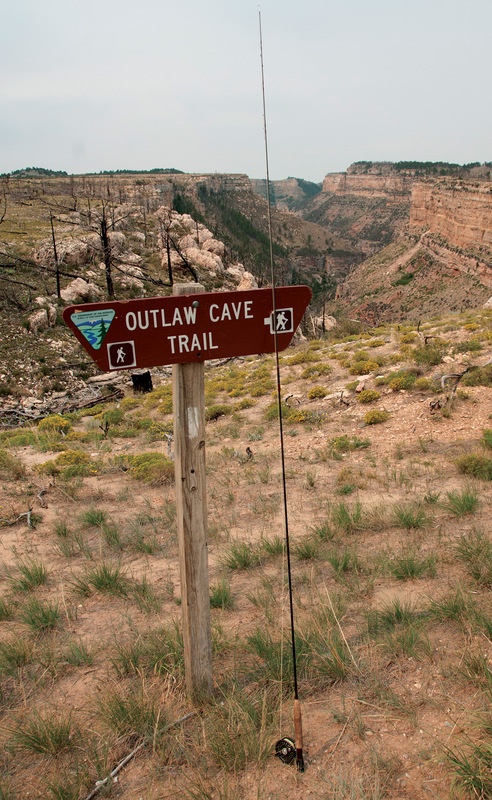 Scanning the gorge in the ragged southern Big Horn Mountains — raptors riding thermals at eye level — we try to pick out Outlaw Cave, where Butch Cassidy and his Hole-in-the-Wall Gang once hid stolen horses. Bruce’s rockhound eyes also scour the landscape to see what treasures he might uncover. I wonder how to scramble into the chasm’s maw to fish, which from our perspective seems impossible for anything but bighorn sheep, or perhaps the intrepid Cassidy. Some of my favorite trout streams in the rambling West are tucked in remote, rugged, sometimes blood-soaked locales frequented by hermits, rebels and legendary outlaws. It makes sense that trout thrive in wild refuges off main travel routes. So too for late-19th-century fugitives whose mugs were plastered on most-wanted posters, seared into feverish public imaginations, and regarded with an ambiguous mixture of fear and folk hero admiration. Fishing outlaw trout country is at odds with the traditional, genteel image of fly anglers: clad in tweed and puffing pipes on a languid spring creek, Shakespeare sonnets tucked into the vest for après-lunch reading in a green, bucolic, civilized landscape. 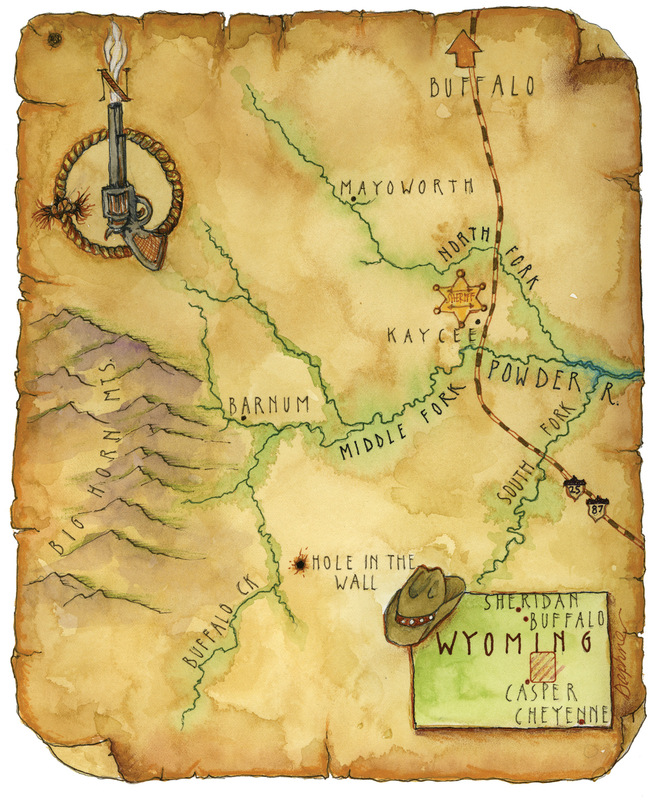 My rendezvous with Outlaw Canyon had taken years of scheming and dreaming to come to fruition. I was long aware that biologists regard the Middle Fork as one of the Cowboy State’s most productive blue-ribbon streams, sheltering several thousand trout per mile. The delay in field testing was not insufficient desire, but concern about the axel-busting, rollercoaster “road” that climbed to the canyon rim. The challenge was this: My treasured, vintage 1977 Toyota micro camper — meticulously handcrafted and sold to me by my late father and now with 235,000 miles on it — would be severely tested. Always the perfect road trip fishing truck, I’ve never babied it, but certainly haven’t tried to deliberately destroy it either. Fortunately on this swing through Wyoming, I had Bruce riding shotgun like the Sundance Kid. Our plan was to rendezvous at the Bureau of Land Management’s secluded Outlaw Cave campground southwest of sleepy Kaycee, Wyo. Bruce was driving way up from California’s Central Coast and I was rolling down from Helena, Mont. I arrive before Bruce, and when he pulls in with his stalwart red Toyota Tacoma he jumps out and exclaims, “Man, going up that road I didn’t think you would ever make it, but here you are!” Truth be told, there were several times that continuing seemed foolhardy. But closer study of the most difficult sections — like a skier picking a line through nasty moguls — revealed potential precarious paths through severely eroded bedrock where I might avoid ripping off my muffler and propane tank. After all this time, I wasn’t turning back. With Bruce in camp, which we have all to ourselves, our outlaw trout and geology adventure is on. We feast on delicious, sage-grilled steaks on the canyon edge that evening. The next morning, Bruce eagerly hunts windswept sandstone concretions on the plateau. Meanwhile, I locate a steep trail to the bottom of the geological maze, picking my way down through the draws while keeping an eye out for basking rattlesnakes. Along the way, I see evidence of the cataclysmic Outlaw Cave fire which tore through the area in 2006: Portions of the rim and canyon walls are littered with scorched timber, but the blaze flew around like a whirlwind witch, magically leaving pockets of old-growth forest intact amid the destruction. The stream presents a perfect symphony of riffles, runs and pools, some deep enough to hide one of Cassidy’s stolen horses. It’s late summer terrestrial time, and my trusty Turk’s Tarantula sparks the curiosity of periodic browns and rainbows, floating up from the rubble-strewn bottom like ghostly submarines to inspect my offerings. I’m blissfully immersed in a soaring cathedral of uplifted Madison limestone: An enduring gift from ancient sea creatures deposited over millennium, the Middle Fork’s springs and fertile calcium-carbonate chemistry create trout paradise. Curiously for such naturally productive water, there are no native trout in the Powder River Basin, according to fisheries biologist Robert Behnke’s landmark treatise, Trout and Salmon of North America (2002). It’s a biogeographical oddity because the Tongue River — the next drainage entering Montana’s Yellowstone River upstream from the Powder — was packed with Yellowstone cutthroats when U.S. military personnel explored the upper watershed during the Indian Wars. During the Battle of Little Bighorn in June 1876, for example, General George Crook’s contingent was oblivious of the nearby carnage inflicted on Custer’s troops, amusing themselves by catching and devouring thousands of cutts in Tongue tributaries. One explanation for the Powder’s lack of indigenous trout is that its exceptionally erosive, sediment-laden prairie mainstem — one of the nation’s longest undammed streams — runs wide, shallow and warm, “too thick to drink and too thin to plow,” as the adage goes. According to David Lageson and Darwin Spearing in Roadside Geology of Wyoming (1988), “Indians would rub dirt between their fingers, then let it fall as fine dust to signify the Powder River.” It’s good water to entice channel catfish with the scent of rotting chicken gizzards, but inhospitable for trout trying to ascend to colder, clearer headwaters. Around the time Butch, Sundance and their Wild Bunch gained increasing notoriety in the 1890s, browns, brookies and rainbows were widely introduced across much of the vast western territory the gang was pillaging. Like the Middle Fork, other narrow headwater fingers of the Powder watershed now pulse with wild trout, including Blue, Buffalo, Beartrap and Eagle creeks, along with the unfrequented North Fork of the Powder. For adventurous anglers who like to prowl deserted, outlaw-haunted streams, this is the place. … discovered that by sliding a large triangular gypsum boulder across the notch in the wall’s cleft, pursuers could not detect a trail at all, the slick red sandstone never revealing a track. … For years stock detectives could not figure out how they were losing cattle, and believed the outlaws were using some concealed hole, or tunnel, through the red sandstone wall. Around Hole-in-the-Wall, the Wild Bunch operated in a chaotic, comparative law-and-order vacuum in the immediate aftermath of the Indian Wars, which were winding down with the Dull Knife Battle on the nearby Red Fork of the Powder River in November 1876. Avenging Custer’s debacle, this fight helped clear the landscape for contesting waves of cattlemen and farmers, as livestock rapidly replaced the vanished bison herds. But in the wake of the Great Blizzard(s) of 1886-87 — the “big die-up” which killed most of the range stock in Wyoming and Montana — “desperation forced honest men to turn to rustling,” according to Thom Hatch in The Last Outlaws (2013). At the time of the 1892 war between cattlemen and homesteaders in Johnson County, Wyoming, Butch Cassidy and the Wild Bunch found themselves in the midst of the conflict, their sympathies with those who rustled cattle from the big ranchers. The outlaws and the fugitive homesteaders both took refuge in a hideout behind a high ridge. Ultimately, the Hole-in-the-Wall was one of several primary hideouts used by Cassidy and other bandits along the so-called Outlaw Trail, linked by primitive “post offices” and relay stations where they could obtain fresh horses and supplies. Other refuges included Brown’s Park in the Green River Valley along the Colorado-Utah-Wyoming border, and “Robbers’ Roost” in southeastern Utah amid the tangled, impregnable country where the Colorado, Green and Dirty Devil rivers converge. Wyoming was a favorite locale for Wild Bunch forays: In addition to their Kaycee-area sanctuary, Lander, Laramie, Dubois, Baggs, Sundance, Thermopolis, Meeteetse and Rock Springs all boast of Cassidy or Sundance associations — along with excellent nearby trout fishing. 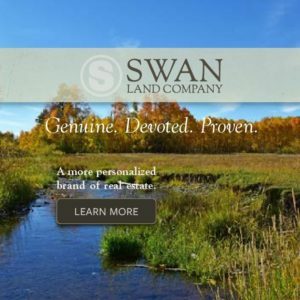 Perhaps if Butch and Sundance had used their loot to purchase bamboo fly rods, their buddy story would have taken a different track. My trip with Bruce into the thieves’ den provides an opportunity to dip into the voluminous, diverse and often divergent American outlaw literature. Long-term pals Butch and Sundance (a.k.a. Robert LeRoy Parker and Harry Longabaugh) initially forged their criminal careers as livestock rustlers, in between stints of prison time and honest ranch work. Assisted by rotating Wild Bunch members, they melded their talents and spectacularly expanded their operations to robbing trains, banks and payroll shipments throughout the West and eventually South America. Thieves to the bone, they were also smart, strategic, wily, daring, hard-working, fun-loving and superb horsemen, as portrayed in the classic 1969 buddy flick starring Paul Newman and Robert Redford. Exuding pirate joie de vivre, there was no shortage of female fans scattered along their interwoven paths. The crafty Butch saw in Sundance not only the tough gunslinger side, which he respected, but also an insightful person who could serve as a trusted sounding board for his criminal planning. … Butch and Sundance did not fit the mold of tyrannical leaders, but operated what could be called a loosely democratic organization. The Wild Bunch had a taunting sense of humor about their roving line of work that drove lawmen crazy but helped secure their lasting place in Western folklore. After a profitable 1900 bank heist in Winnemucca, Nev., for example, the gang bought fancy outfits in Fort Worth, Texas, with their loot and primped for a professional group photo. Hatch observes that “it would be in keeping with Butch’s personality to find amusement in joking around, perhaps even mocking … the well-to-do folks who wore such dude clothing every day.” According to some accounts, Cassidy even sent a print to the Nevada bank they had robbed with a thank-you note. True or not, with the help of that now-famous photo, the bloodhound Pinkerton detectives that relentlessly trailed them were closing in. Wanted dead or alive, with $10,000 bounties on their heads, their once expansive West was shrinking: In 1901, Butch and Sundance fled to Argentina (unsurprisingly, another trout Mecca) with the latter’s alluring, enigmatic girlfriend, Etta Place. They attempted a clean start as gringo gauchos, but suffered criminal relapses. Meanwhile, fellow gang members who remained behind often met violent deaths. 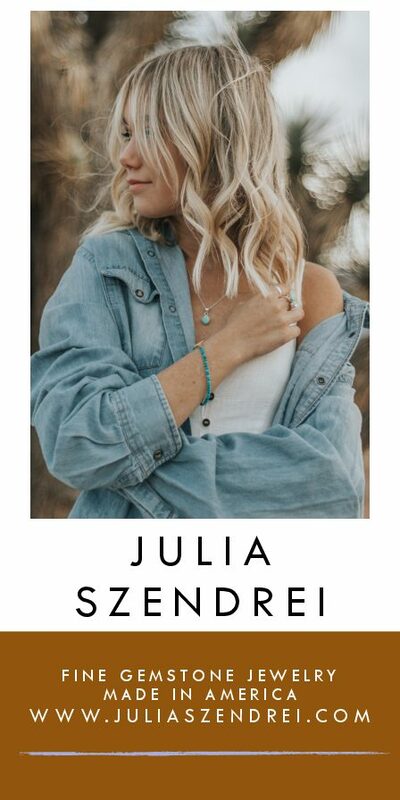 Like Amelia Earhart — whose retirement cabin still awaits her return high in Wyoming’s Absaroka Mountains — the demise of Cassidy and the Kid remains shrouded in mystery. Many believe Butch and Sundance were finally pinned down by Bolivian cops around 1908, as occurred in the hail of bullets that ended the Newman/Redford portrayal: loveable desperados facing insurmountable odds, stoically jesting to the end. Other accounts maintain both “Banditos Yanquis” survived: One persistent story has Cassidy returning to the states, where he lived a quiet, straight life under an alias in Washington until 1937. His sister reported that he paid a friendly family visit to Utah in 1925, not the only post-death sighting; legend even has it that he visited Wyoming’s Wind River Mountains to retrieve his buried fortune. Whatever the truth, there is no definitive proof of where or when Butch and Sundance died. After Outlaw Cave, Bruce and I wind deeper into the oceanic emptiness of the Big Horns toward another obscure BLM campground, tucked at the upper end of the canyon. On a long, hot afternoon climb over the austere heart of the range — tan hills rolling past like tsunami-sized waves — my old truck overheats on the switchbacks and I pull over while the radiator gurgles aggressively. Bruce, trailing behind, swings in to make sure everything is OK; we have a beer as things cool down, then begin a long descent. When we make it to the camp we’re still alone. Bruce is elated to find a perfect fir-fringed site nestled tight to the gurgling Middle Fork. I ease my truck in nearby, slipping off to catch colorful brookies in nearby Rock Creek, a spring-fed tributary. The next morning Bruce scours the cobble banks, finding primeval sea worm trails etched in sandstone, among the planet’s oldest fossils. He also uncovers an Indian hand scraper crafted from an orange agate, and a spectacular, table-sized piece of banded gneiss, perfectly polished by centuries of surging spring flows. Azure sky arching overhead, I hike downstream toward the canyon mouth, teasing out many bright rainbows on attractors and terrestrials. As darkness envelops the evening, we build a blazing campfire; trout continue to furiously attack fluttering caddis in the deep pool illuminated by the firelight. Under a glorious, glittering Milky Way, Bruce retrieves his guitar. As he strums and sings, I ponder how old folk, country, blues and bluegrass songs — along with American film and literature — have long grappled with outlaw mortality, morality and codes of conduct, bloodshed mixed with unexpected kindness. Of course, this doesn’t imply that pilfering computer files, blowing up dams, blasting open safes, shooting heroin or stealing cattle are professions you’d want your kids to eschew Harvard for. Why not apply that drive and intelligence to something overtly beneficial? And some outlaws like the Wild Bunch’s Kid Curry were short-fused, brutal killers: “I shot a man in Reno just to watch him die,” as Johnny Cash sang in “Folsom Prison Blues.” But at least with Butch and Sundance, at the end of the day they really didn’t pretend to be anything they weren’t, aliases and trickery notwithstanding. Perhaps that’s in contrast to some supposed pillars of society, ranging from unpunished bigwigs who abetted the Johnson County cattle war to recent “fountain pen” bank and Wall Street malfeasance. Bruce lays down his guitar and generates a volcanic fireworks display by aggressively jabbing and repositioning our glowing logs. We shift to bourbon and our own stories. After decades of adventures together starting in fourth grade, Bruce and I have a treasure trove of pseudo-outlaw campfire tales — like when we nearly burned down his architect father’s newly handcrafted cabin after a night of teenage partying next to a Wisconsin trout stream. Gazing at the sparks flying toward the stars then winking out, I reflect how friends have inexplicably come and gone over the years like the ebb and flow of tides. But Bruce has been a constant North Star, through thick and thin. We’re both amazed we’ve made it this far along shifting paths; speeding through transient time, but still alive and roaming the West together. I think that might be true for Butch and Sundance too. In spite of a stressful line of “work” that could severely strain any relationship, the pair were pals until the end — whenever that actually was. “Butch and Sundance seem to have been genuine buddies, fond enough of each other’s company to keep the act going clear to Patagonia,” observes author Lawrence Block. Bear Lodge Mountains/Sand Creek, Sundance, Wyo. 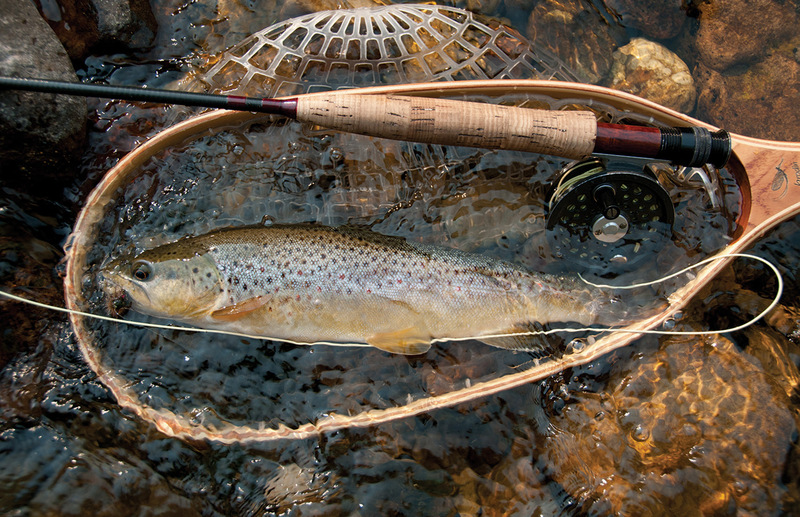 Tucked amid the rolling plains of northeastern Wyoming, Sundance may seem like an odd trout destination. But the little-traveled Bear Lodge Mountains — a western extension of the Black Hills — lie just to the north, sheltering pretty Beaver Creek and Cook Lake. And about 20 miles to the northeast near tiny Beulah flows Sand Creek, a spring-fed beauty of astonishing productivity. The Sundance Kid picked up his name and some notoriety from this town. Unemployed and drifting after stints as a Montana ranch hand, he was arrested for stealing a horse, saddle and gun near here in 1887 and sentenced to 18 months in the Sundance jail. Like Butch, he was pardoned by the governor (Thomas Moonlight) as his sentence ended. Also like Butch, the experience helped transform him from a saddle-tramp cowboy to full-fledged thief. Horse Creek/Wind River, Dubois, Wyo. Butch Cassidy purchased a ranch near Horse Creek with business partner Al Hainer, possibly using proceeds from his portion of a daring 1889 bank robbery in Telluride, Colo., As was his habit, he quickly befriended many locals. Horse Creek flows south out of the Absaroka Mountains toward Dubois and the Wind River. Along with the nearby East and Wiggins forks of the Wind, these pristine waters still hold descendants of the Yellowstone cutthroat that thrived when Butch spent time here raising and/or rustling horses. For those in the know — like my friend Bruce — the stream banks also turn up beautiful pieces of petrified wood washed down from the mountains. Sweetwater River, South Pass City, Wyo. 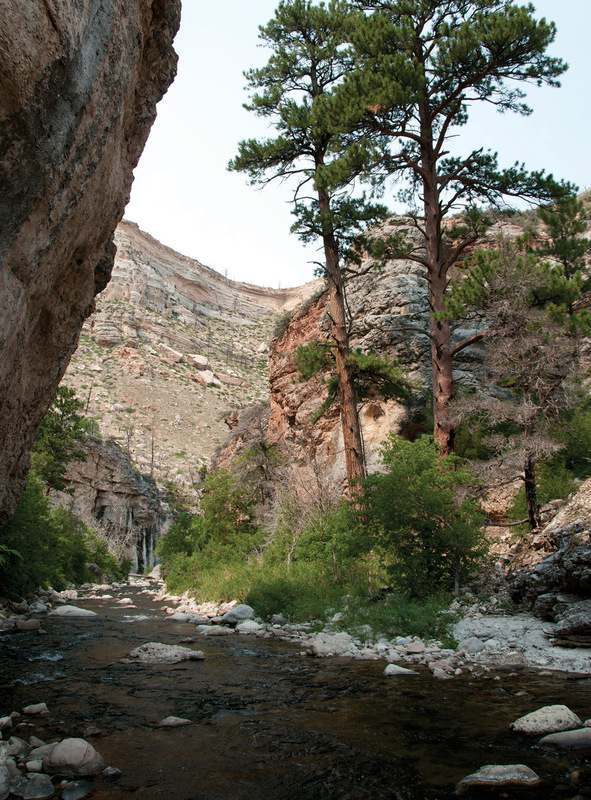 The history-rich, high desert Sweetwater River is one of Wyoming’s wildest unsung trout gems. Intrepid anglers can immerse themselves in Oregon Trail lore while casting to browns and rainbows that don’t see many fake flies. Gold was first discovered near South Pass in 1842, triggering a major rush in 1867. Thousands of adventurers migrated to rowdy mining camps at South Pass City, Atlantic City and Miner’s Delight, temporary home to the tempestuous Calamity Jane. By the 1870s, most of the lively bars and brothels were shuttered as the boom ended. Further down the Sweetwater drainage near Independence Rock, the 1889 lynching of settlers Ellen “Cattle Kate” Watson and James Averell by wealthy ranchers — ostensibly for rustling — helped lay tinder for the Johnson County war between free-range cattle barons and homesteaders. The six cattlemen accused of perpetrating the hanging were set free after a key witness disappeared. Grasshopper Creek, Bannack State Park, Mont. An ideal place to pair roll casts with outlaw history is Bannack State Park. It’s one of the West’s best-preserved ghost towns, having once been a mayhem-filled gold camp and Montana’s first territorial capital. Bannack was home to vigilantes who — in the absence of law and order — took justice into their own hands. On a frigid January day in 1864, they hung Bannack’s corrupt and murderous sheriff, the notorious Henry Plummer, and two deputies near Grasshopper Creek. Legend has it the gold fortune that Plummer’s gang stole from miners is hidden in or around Bannack’s desiccated remains. For those seeking more tangible treasure, Bannack’s Grasshopper Creek shelters surprisingly nice browns. Grasshopper was severely damaged by dredges, powerful hydraulic hoses and other historic placer mining techniques, but its resident trout have undergone a long, significant recovery. Montana Fish, Wildlife & Parks’ survey data ranks Grasshopper Creek angling pressure a distant 371st in the state — a true outlaw score. Pattengail Creek, Wise River, Mont. This creek was named for George Pattengill, “Wild Man of Montana,” a Civil War veteran who returned home to Wisconsin from the war to find his wife with another man. Pattengill dispatched his wife’s lover, his wife then shot herself, and Pattengill headed to Montana. … Pattengill set up camp in a wickiup along the West Fork of the Wise River, now called Pattengail Creek, a misspelling of his name. He lived off the land and regularly frightened Butte fishermen until his demise in 1895. The Jarbidge River ranks among the most secluded trout streams in the lower 48 states, slicing through the empty mountains and canyons between Elko, Nev., and Twin Falls, Idaho. The upper river swarms with gullible, native redband trout and a threatened population of bull trout, the southernmost in the U.S. The area around the tiny streamside Nevada town of Jarbidge was the site of the West’s last known stagecoach robbery in 1916. The driver was murdered, several thousand dollars taken and the mail dumped along the river. Assisted by a stray dog that had been on the scene and bloody palm prints left on a slashed mail sack, authorities tracked down and sentenced the killer and his accomplice to life in prison. Jones (Hole) Creek, Dinosaur National Monument, Utah/Colo. Sprawling across the Utah-Colorado border, Dinosaur National Monument is famous for fossilized prehistoric reptiles, epic canyon floats, expansive desert vistas, ancient rock art and 19th century outlaws. Its soaring sandstone amphitheaters, scorching canyons and muddy rivers don’t immediately suggest trout. Yet tucked away in a remote, red rock gorge on the park’s north side is a sparkling spring creek gem — Jones Creek — a Green River tributary holding prolific rainbows and browns, some exceeding 15 inches. Green River, Brown’s Park, Utah/Colo. Utah’s storied Green River below Flaming Gorge Reservoir ranks among the most productive tailwater trout fisheries in the world. The only drawback is that the prolific fish — combined with gorgeous canyon scenery and excellent access — attract many anglers. Fortunately, the Green offers much less crowded (“Section C”) water further downstream in the outlaw-haunted valley called Brown’s Park, along the unpopulated Utah-Colorado border. The same remote character that attracts intrepid fly anglers to Brown’s Park also drew some of the West’s most renowned outlaws, including Butch Cassidy, the Sundance Kid and Ann Bassett — “Queen of the Cattle Rustlers” — reputed to be among Butch’s romantic interests, as was her sister Josie. Today this history is interpreted at the fascinating, riverfront John Jarvie Historical Site. A well-respected pioneer, philosopher, musician and entrepreneur, Jarvie ran a general store, trading post, post office and river ferry at the site, where he settled in 1880. Live-and-let-live Jarvie was acquainted and socialized with local outlaws like the gregarious Butch and Sundance. On the evening July 6, 1909, however, Jarvie was murdered during a robbery. His body was tossed in a boat and set adrift on the Green; he was found 25 miles downstream, eight days later. The two transients ((ITAL)not(ITAL) Butch and Sundance) who murdered him were never apprehended. The rip-snorting historic Black Hills mining town of Deadwood offers staged street gunfights for tourists today. But there was a time when the gunplay was real: The notorious gunfighter Wild Bill Hickok was shot and killed during a saloon poker match here in 1876. Hickok is buried in the Mount Moriah cemetery overlooking town, along with his hard-drinking pal Calamity Jane. The sharp-shooting woman’s final wish was to be laid at his side, who she alleged was among her dozen husbands. Whitewood Creek rushes through downtown Deadwood, resident browns taking advantage of the recovery it has made from historic mining impacts. And just west, spring-fed Spearfish Creek ranks among the finest of the more than 800 miles of trout streams in the Black Hills. Springs and calcium carbonate-rich limestone produce excellent conditions for abundant brown (pictured) and rainbow trout, with brookies in the headwaters. 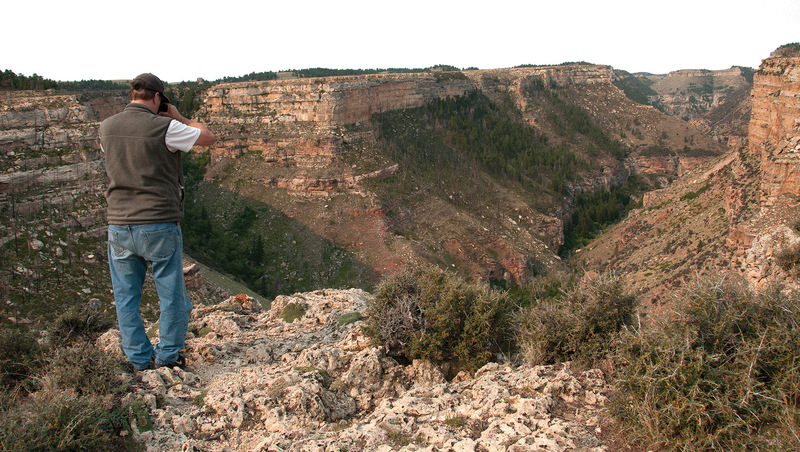 The author’s friend, Bruce, scans the Middle Fork chasm with binoculars. The edge of the gorge offers extraordinary views of soaring raptors and the river murmuring far below. 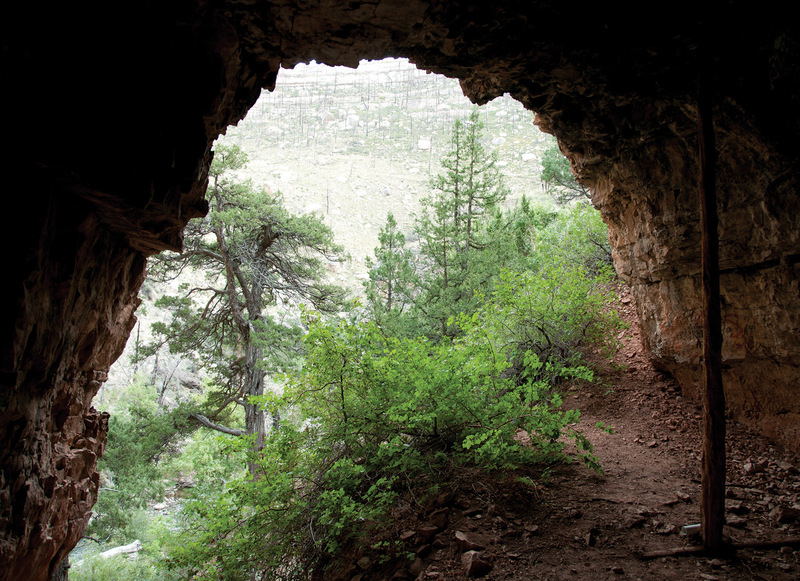 An added bonus is investigating Outlaw Cave, where Butch Cassidy and his Hole-in-the- Wall Gang hid pilfered livestock. 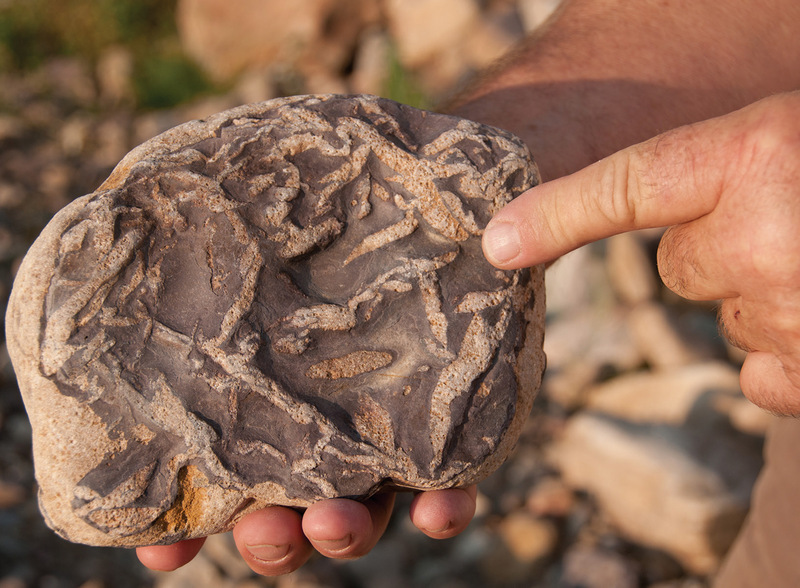 Bruce displays a fossil uncovered on the upper Middle Fork of the Powder: aquatic worm trails from an ancient sea bed — some of the oldest fossils in existence — uplifted more than a vertical mile above sea level. A precipitous trail winds from a primitive, rim-top BLM campground into the rattlesnake-inhabited depths of the Middle Fork’s Outlaw Canyon. The reward for scrambling into Outlaw Canyon is solitude on prime trout water, amidst cathedral-like cliffs.